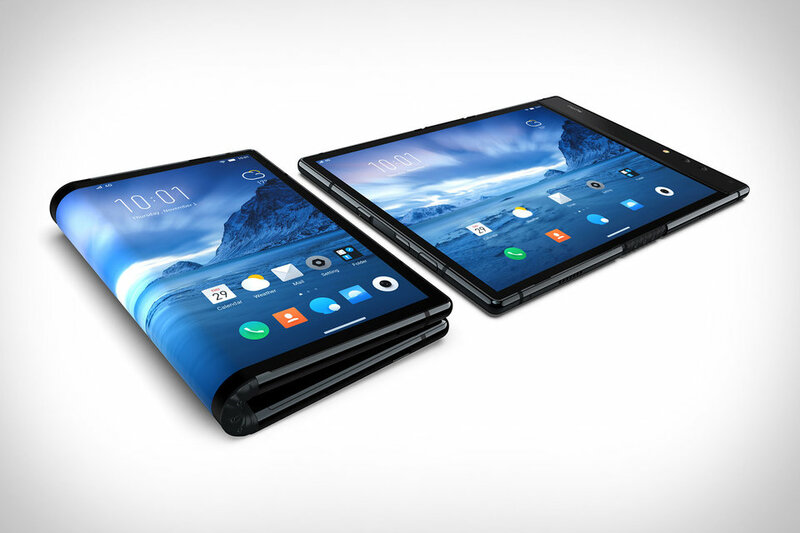 Royole has made what it claims is the world’s first folding smartphone. Called the FlexPai, the phone has a 7.8-inch display and comes with a hinge in the middle that makes it possible to use as either a phone or as a tablet. When it is folded in half, it can function as two different smartphones. The device’s display is an OLED screen that is printed on a thin plastic material. Hence, unlike other smartphones, the screen is scratch resistant. It is also shatter-proof as no glass is used. According to the company’s CEO, Bill Liu, it can be bent 200,000 times without breaking. It is powered by the yet to be announced Qualcomm Snapdragon 8150 processor, has 16-megapixel wide-angle and 20-megapixel telephoto cameras in its sizable bezel. The device runs on a custom version of Android that is called Water OS, which was designed specifically for the FlexPai’s flexible screen. It is possible to watch a video on each side of the screen when it is folded, which means that two different videos can be watched simultaneously. The phone is expensive with the price being USD 1318.00 for the 128 GB version and USD 1469 for the 256 GB version. Deliveries of the phone are slated to begin in December.